Department of Extension Education (DEE) is one of the departments of the Institute which basically focuses on all activities related to the in- service programmes of the institute excluding all other pre-service programmes of the Institute. In terms of the structure it has a Head who is supported by different State Coordinators for different states. It has State Coordinators for Karnataka, Tamil Nadu, Andhra Pradesh, Telangana, Kerala, Lakshadweep and Puducherry. Every State Coordinator keeps in touch with the State Education departments and liaisons in between RIE Mysore, NCERT and the State. In terms of different functions of the Department of Extension Education, mainly it has responsibility of identifying and collecting the State Educational Needs from all the States and the Union Territories and to enable the institute in converting these needs into programs, programs into activities and there by the needs of the States are addressed. The State Coordination Committee is a very important activity of the Department of Extension Education. Every State has a State Coordination Committee headed by the Principal Secretary of Education Department in the respective States. The Principal of RIE Mysore is the member convener of the committee. All the State Level Educational Functionaries, the Heads of different Education Departments are the members. 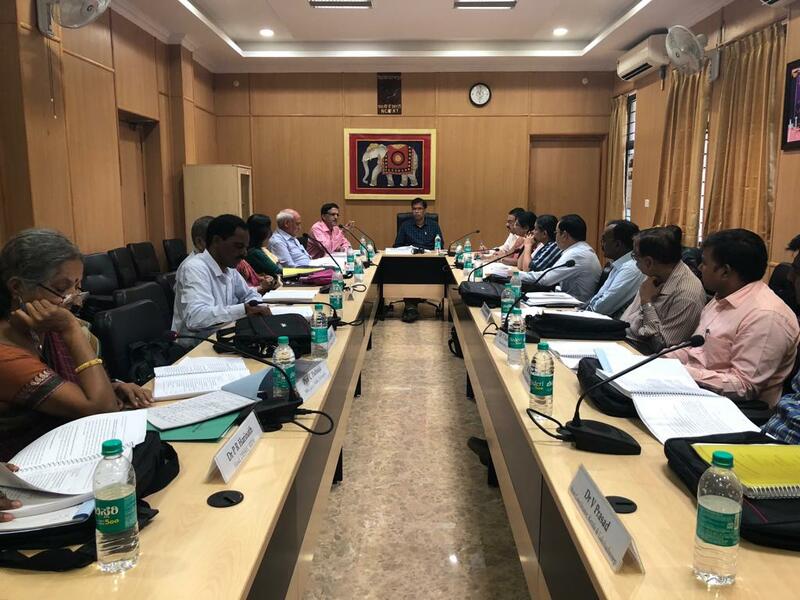 The Head of the Department of the Extension Education and the respective State Coordinators are also the members of the State Coordination Committee. Normally the State Coordination Committee meets once a year. Initially the State Coordinator visits the State and discusses with the Educational Authorities about their needs and these needs would be brought back to the Institution, consolidated, refined and it would be taken up in the State Coordination Committee meetings for later discussions. 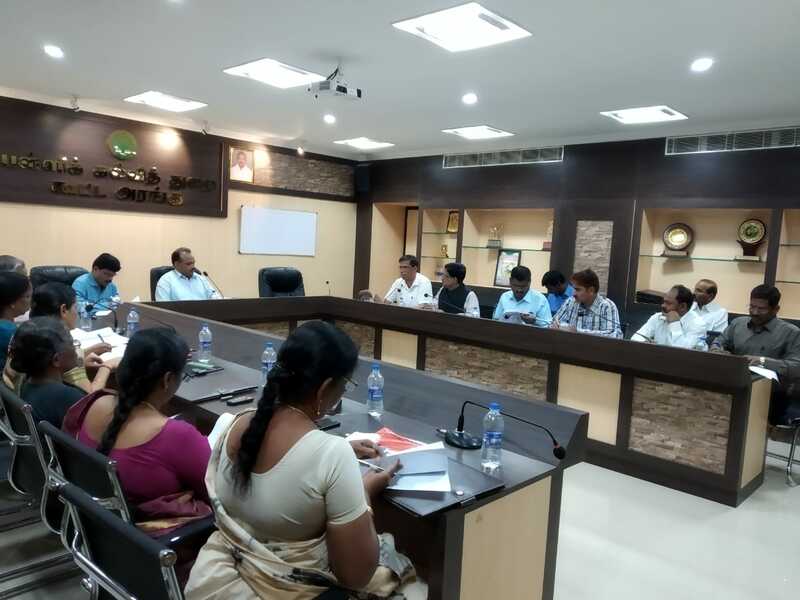 In the State Coordination Committee meetings all the Departmental Heads of the Educational Departments share their concerns about their needs for the support from the RIE Mysore. They would eventually be condensed and few doable programs would be proposed by the Principal Secretary, Education. With this the needs of the States are finalized by the State. Then these needs would be discussed with the different Heads of the Departments of the Institution, who in turn would share it with their faculty members thus convert them into program proposals. These proposals would then be subjected before the departmental level scrutiny and put it up before Institute Advisory Board (IAB). The IAB is headed by the Principal of RIEM and different Educationists, all the State Coordinators, the Head DEE and the senior faculty of the Institute are the members of the IAB. A nominee from the Director and the Head PMD of the NCERT would also be the members of the committee. The Programmes prepared by the different Coordinators in the Institute would be presented in the IAB and based on the suggestions and recommendations they would further be refined. Then these refined programmes would be put up before the highest body of the Institute called the Management Committee (MC). The Management Committee is a committee headed by the Vice-Chancellor of the University of Mysore, who is the Chairperson of the Management Committee and the Principal of the Institute would be the member convener of the committee. The representatives from all the States and Union Territories and the nominated members apart from the Institutional faculty, the Head, DEE and the State Coordinators comprise the Management Committee apart from the Administrative Officer of the institute and the Accounts Officer. In the Management committee all issues related to the management of the institution primarily focusing on the extension education would be discussed where all the refined proposals after the IAB would also be presented and they would be subjected to another level of scrutiny. 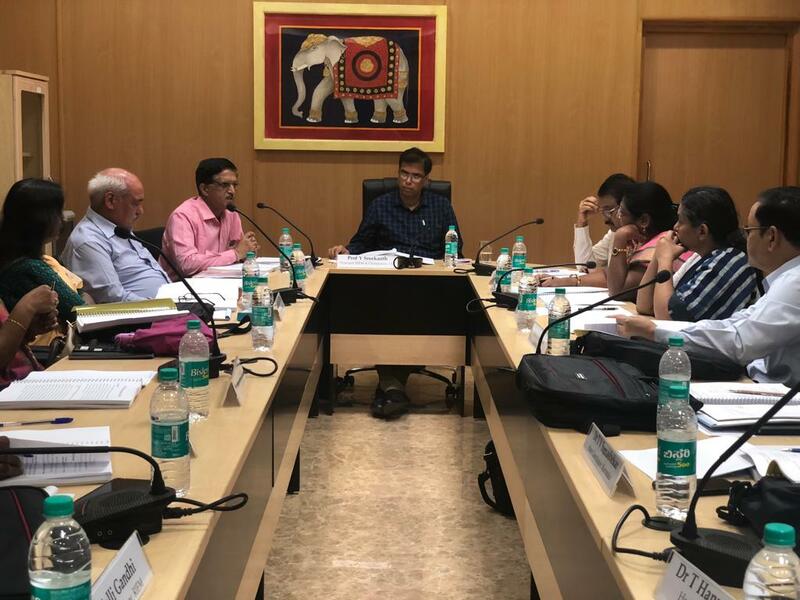 Based on the suggestions given in the Management Committee, the program proposals would further be chiseled out and refined and then would be ready for the Program Advisory Committee (PAC) of the NCERT. The Program Advisory Committee of the NCERT is the highest body to consider all the programmes of the in-service activities of the Council. PAC is headed by the Director, NCERT. The PAC proposal meetings would be held once a year for a period of nearly 3-days where all the programme proposals prepared by all the constituent units of the NCERT would be presented and they would be discussed for their possible inclusion or exclusion. The decision of the PAC is final with regard to the activities that different institutions will have to take. PAC also approves the budgetary provisions. Once the budget is allocated to different institutions, different proposals will have to apportioned within the budget and carry out the program the next year. This is the mechanism used by the institution in converting the State needs into programmes. Apart from these there are many other activities other than all other pre-service programmes which would be undertaken by the Department of Extension Education. It also conducts several Extension Lecture Series by eminent personalities who would be able to inspire the students and the faculty alike on different concerns. Thus, it facilitates all Extension related activities of the institution in linking itself to different States and Union Territories of the country and undertaking several activities of the institution other than the pre-service programmes of the institution. This acts as an important link between institution and the States.